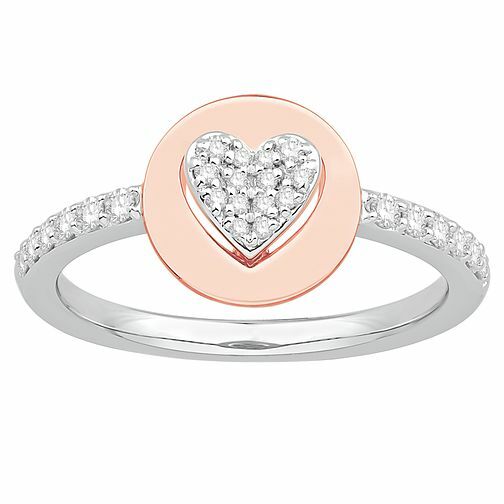 A chic and sparkling ring as part of the Signature Heart collection. Made with a sleek silver band, a round 9ct rose gold centrepiece is accented with a dazzling display of diamonds in a classic heart formation. The shoulders of this ring are also set with shimmering stones, a shining and sentimental ring ideal for everyday glamour.